"So sad to see my dear friend and mentor gone, I will miss our dinners and every time you made me laugh and taught me something new. Heaven..."
"It is a privilege to call you my dear friend. I’ve never met a more kind and generous person. You will be forever missed. " "Be a bad girl !!! Love you pop your boy Robert perrylee Durbin "
"I still can't believe you are gone. Way to young. But now we have a guardian angel in heaven, to take care of us. 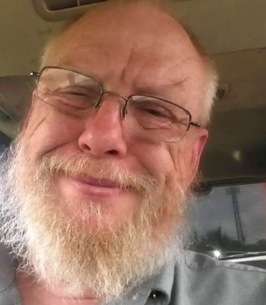 Rest in peace my dear...."
This An Amazing Life memorial website is designed to be a permanent tribute paying tribute to the life and memory of Patrick Lee Durbin. It allows family and friends a place to re-visit, interact with each other, share and enhance this tribute for future generations. We are both pleased and proud to provide this An Amazing Life tribute to the families of our community. Please check here to receive a one-time email, one week prior to the anniversary of the passing of Patrick Lee Durbin. The email will only serve as a reminder should you choose to connect with the family at what will no doubt be a difficult time.